Getting away is expensive. According to an American Express survey, the average American spends $1,145 on summer travel. That figure includes everything from long weekends in affordable outdoor adventure destinations, to extended holidays in spendy international hotspots, to once-in-a-lifetime getaways to exclusive honeymoon resorts. No matter what you have in mind for your next trip, you’ll want to keep its budgetary impact manageable. Over the years, I’ve taken long, relatively expensive trips with little to no adverse impact on my day-to-day finances, and short, relatively inexpensive getaways that put me in a bind. More than anything else, I’ve learned that the secret to successful pre-vacation saving is time: The earlier you start, the easier it’ll be to meet your savings goals. Beyond that, I’ve picked up quite a few tips to save more, faster, for planned vacations. I’ve shared them below. First, set a firm budget for your planned vacation. This should be a hard upper-limit that you pledge not to exceed, barring an unforeseen emergency. Precision isn’t the goal here. 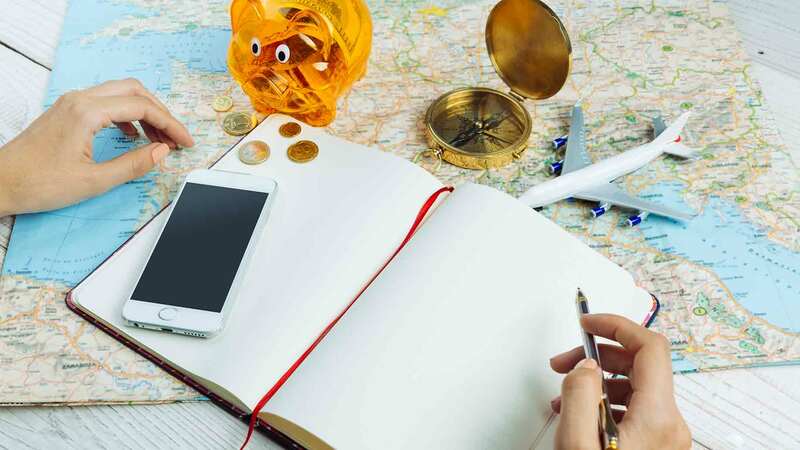 Your vacation budget is an educated estimate based on the expected contours of your trip: round-trip travel, lodging, local transportation, meals, sightseeing, activities, shopping, incidental costs. Do some research to get a sense of what you can expect to pay for big-ticket items like airfare and lodging, then gut-check your expectations for your daily expenditures at your destination. Do you expect to eat at restaurants or prepare your own meals? Rent a car or get around on public transportation? Hunt for bargains at local markets or keep a tight fist? Arrive at cost ranges for each category. Add them together to get a total expected cost range. Pad with a reasonable buffer – say, 10% to 15%, to account for higher-than-expected travel costs or currency fluctuations (for international travel). This final number is your upper budget limit. Block off a few hours on an evening or weekend for detailed research. Use multiple online booking and price-comparison sites to narrow down what you’re likely to spend on each major item given your origin, destination, travel times, and expectations for quality and comfort. Remember that the prices you see online don’t always include extra expenses like baggage fees, resort fees, and lodging taxes. A $25 daily resort fee adds $150 to the cost of a six-night stay, for instance – not an insignificant expense. 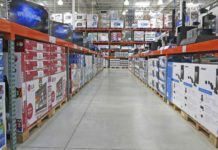 Be sure to factor these extras into your cost ranges. Understanding what your trip’s biggest expenses are likely to cost helps you set the parameters of your vacation savings campaign. Given the same deadline, saving up $1,000 for a round-trip international flight and another $1,000 for a nice hotel in a major European city is a very different prospect than setting aside $300 for a round-trip domestic flight and $200 for a private Airbnb room. Pro Tip: If you see a great deal during this part of the process, jump on it. Airline and hotel pricing models are increasingly sophisticated, and great deals don’t last as often as they used to. Most online booking sites have algorithm-driven features that advise users to buy or wait based on past and expected future price fluctuations. While they’re not perfect, they’ve served me well in the past. Traveling for pleasure is special by definition. Even frugal travelers can be forgiven for loosening their belts once in a while. If you have some budgetary breathing room, do yourself a favor and look for an opportunity or two to treat yourself as you research your destination. Your ideal splurge might be a spa day, a fancy restaurant meal, a chartered fishing trip, a guided city tour – it all depends on your destination and personal preferences. Identify and budget for any splurges well in advance, so that they don’t adversely impact your ability to save for the rest of your vacation. Set up a separate savings or money market account just for this expenditure and build it into your savings plan – say, an extra $10 per week into your splurge account on top of the $30 you’re already putting into your general travel account. On our most recent trip, my wife and I set up a splurge fund for two specific bucket list items: dinner at an exclusive, critically acclaimed restaurant and a boat trip to a remote archipelago. We started saving far enough in advance that neither expenditure affected our household budget nor hampered any other part of our vacation. I’m glad we did – they were the two most memorable experiences of the trip, hands down. I’m a big proponent of goal-oriented savings accounts. Once you have the basic parameters of your vacation in place and a general sense of how much the adventure will cost, open a savings account for the sole purpose of funding the trip. Ideally, you’ll make this account your sole funding source – no dipping into other accounts or racking up credit card charges without a plan to pay off the balance in full at the end of the month. That said, don’t hold yourself hostage to your cash flow. Feel free to seed your new account with whatever portion of your current savings you’re comfortable setting aside for the vacation. Moving forward, you’ll pad the account with regular deposits, helped along by the tips I’ve outlined below. Pro Tip: Grow your vacation savings with a high-yield savings account. Your yield might not be generous enough to support a five-star upgrade, but it’ll net you a few extra bucks by the end of your savings campaign – enough for a round of drinks or extra-long massage, perhaps. In a perfect world, saving would be second nature for all of us. In the real world, saving is more likely an unwelcome afterthought. With so many things competing for finite dollars, it’s easy to put off something that sequesters those dollars for months or years. Remove the human element from your vacation savings plan by scheduling automatic transfers to your account. Decide whether weekly, biweekly, or monthly deposits work best, and how much you can afford to set aside at each interval. Make these regular transfers from your primary checking account – preferably, the account into which you deposit your paycheck. Secondary accounts are more likely to run dry, delaying transactions and potentially exposing you to overdraft or NSF fees. Don’t let your automatic savings transfers stop you from manually transferring money into your vacation fund when you’re able. Many of the tips I’ve outlined below necessitate manual, variable-amount transfers at irregular intervals. My coin jar is my petty cash fund – literally, the loose change I use for small, frequent expenditures like parking and snacks on the road. While saving for my most recent vacation, I stopped dipping into my coin jar completely. I kept adding to it as normal, letting its balance grow for three or four months. Then, a couple weeks before I left for my trip, I emptied it out, counted what I had, and transferred an identical amount into my vacation fund. This exercise wasn’t make-or-break for my vacation – it netted about $40, if I remember correctly. But it was an important symbolic step that got me into an accumulative mindset. If you’re in line for a tax refund this year, resist the urge to tap it for discretionary purchases you wouldn’t otherwise make. Instead, set aside as much as comfortably possible for your vacation fund. You’ll still use the money for something fun – just not right away. Pro Tip: Use a free or low-cost online tax prep service to trim your tax filing costs and maximize your refund. If you’re willing to invest a few hours of your free time, forgoing a human accountant and choosing the right tax prep software can substantially reduce your filing outlay. Not expecting much of a tax refund this year? If you’re fortunate enough to earn a quarterly or annual performance bonus at work, put some of it into your vacation fund. Don’t shortchange other bonus-related priorities – many people rely on performance bonuses to get ahead on debt service or purchase holiday gifts for friends and family. Just make sure your vacation fund is on the list. Do you have solid credit and the discipline to pay off your credit card balances in full each month? Then check out our roundup of the top travel rewards credit cards and apply for your favorite. Your new credit card won’t single-handedly pay for your trip, but the sign-up bonus could significantly reduce its cost. Some of the most sought-after travel rewards cards, such as Chase Sapphire Preferred Card, offer sign-up bonuses worth hundreds of dollars against travel purchases. (CSP’s is worth $750). Every purchase made with your card earns points or miles that you can redeem for future travel expenses. Depending on the card, travel-related purchases, such as airfare and hotel stays, may earn at higher rates. 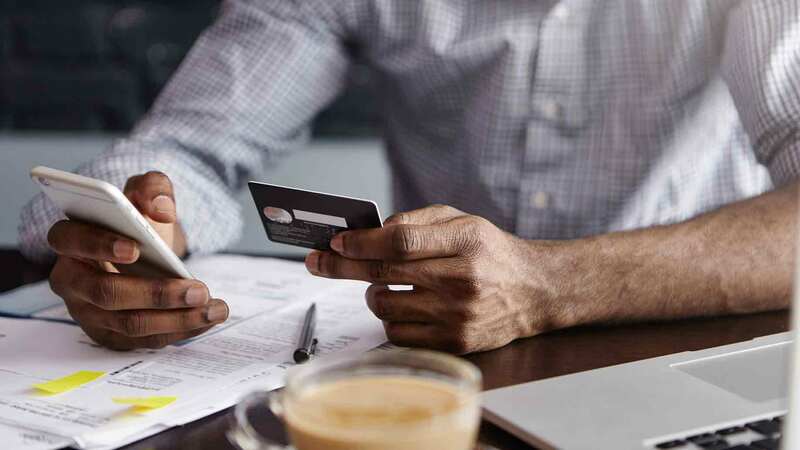 Pro Tip: If you prefer to keep your options open, check out our list of the best cash back credit cards on the market. “Spending” money to save money sounds counterintuitive, but paying off debt isn’t ordinary spending. Every dollar you put toward high-interest debt, especially credit card debt, is a dollar that won’t accrue interest ever again. Over time, a slimmer debt load loosens the belt on your discretionary budget, freeing up more funds for luxuries like vacations. Paying down debt is a long-term project that outlives individual discretionary spending plans. The key to success here is setting aside a manageable, sustainable portion of your income for the cause and sticking with it. My household is a sucker for subscriptions. My wife’s beloved Birchbox membership eats away at our monthly budget, $10 at a time. I have a couple leftover print magazine subscriptions that collectively account for another $100 or so per year. Our Hulu subscription is a comparable drain. We can do without them all, but the insidious combination of habit and inertia keep us bound. Learn from our example. If your budget is hostage to nonessential subscriptions, cancel them. Sure, you’ll miss having the option to try all those personal care products or discover yet another mediocre show, but your life will go on much as before. Most people, especially those with no love for home cooking and limited appetite for prepared and processed meals, appreciate a nice dinner out. Likewise, on-the-go meals at quick-serve restaurants are godsends for busy students, parents, and professionals (who often occupy the same skin). The problem is the cost. Whether it’s a $50-a-head dinner at a fancy restaurant or a $5 sandwich at your local sub shop, eating out (or grabbing takeout) is almost always more expensive than prepping your own meals. Here’s an idea. Before you begin scrimping to save for your next vacation, commit to eating one fewer meal out each week. If you dine out less frequently than once per week, commit to halving your restaurant meal allotment. It’s impossible to say how much you’ll save from this simple change. That depends on the quality and cost of your favorite restaurants, how many mouths you’re feeding, and other factors. But it’s assured to make a noticeable difference. Deposit some or all of the resultant savings into your vacation fund and watch it grow that much faster. Pro Tip: No one’s saying you need to swear off restaurant meals altogether – you deserve to take a break from preparing your own dinner every once in a while. But a little restraint goes a long way. Check out our post on easy ways to save money eating out at restaurants for frugal dining ideas. This change is even easier to make. First, buy a durable, sealable, well-insulated coffee container. You can find quality models for less than $15 online. Third, stop visiting Starbucks (or your local equivalent) on your way to work. Quitting your latte-a-day habit cold turkey is worth a $20-to-$25 bottom-line bump each week. That’s an extra $100 per month to put toward your vacation fund. Yes, you’ll go through more coffee at home, but even great coffee costs no more than $10 to $12 per bag at the grocery store. Two per month reduces your latte savings by $25, at most, leaving $75 for the trip. Trimming your grocery budget doesn’t necessarily mean compromising on quality, healthfulness, or freshness. You can still shop at your local food co-op, buy in-season produce, and avoid ecologically harmful or ethically questionable ingredients. Substitute Cheaper Produce. Why reach for the kale when chard will do? Shiitakes instead of button mushrooms? Honeycrisp over Gala apples? Sure, the flavors might not pop quite the same way, but saving money tastes good too. Avoid Prepared Foods. Skirt past the prepared foods counter. Don’t even look at the hot bar. Delicious as all its greenery looks, do not pick up that salad tray. Wait until you’re home to indulge – and stick to cooking with the ingredients you buy. Don’t Shop Hungry. The easiest way to run up your grocery bill is to shop hungry, when everything looks good. Adjust your routine such that you’re shopping after a full meal whenever possible. Use Coupons. No, you don’t have to adopt extreme couponing or even spend time clipping from your local grocery circular. There’s an app for that. RedPlum has hundreds of printable and downloadable grocery coupons on its website. You can probably load coupons right to your store loyalty card too – check the site to make sure your favorite store is covered. Buy in Bulk When Appropriate. When you start throwing unused perishables out, buying in bulk stops being a good deal. It makes more sense for nonperishable items that you use at reasonable volumes: coffee, toilet paper, healthy packaged snacks, personal hygiene products, and whatever else makes sense for your house. Thought your days of working multiple part-time jobs were over for good? Maybe it’s time to bring them back for a limited time. Choose a part-time job that pays decently well, offers reliable hours with the option to pick up more, and preserves your dignity. I pad my savings and add some variety to my routine with occasional shifts as an in-store sampler for a local brewery, for instance. The gig pays well above minimum wage, involves talking to people who like beer, and gives me a chance to promote a product I respect and enjoy. Another example: Each fall, my cousin – an elementary school teacher – spends his weekends picking apples and giving hay rides at an orchard near his semirural home. He gets to spend time outside in crisp, sunny weather and entertain some of the same kids with whom he spends weekdays in the classroom. Your part-time or seasonal job won’t make you rich. But even if it leaves you with a couple hundred extra bucks each month, it’ll go a long way toward funding your next vacation. If you’re paid by the hour and don’t mind spending more time on the job, ask your supervisor about picking up extra hours. Even if the first answer is “no,” you’ll make it clear that you’re open to working more, sparing your supervisor some hassle when he or she actually does have to fill extra shifts. For a while, I worked at a college town restaurant that got super busy on game days. It was a no-brainer to pick up extra shifts on those days, which were all-hands-on-deck affairs anyway. Between wages and tips, I’d reliably make $200 for four or five hours of work, doubling what I’d take home on a good normal day. Extra work really pays once you cross the 40-hour-per-week threshold and become eligible for overtime at 1.5 times your regular pay rate. Just make sure your employer is on board – many low-margin companies have strict no-overtime policies. Don’t wait until your attic starts overflowing to make your move. Start organizing and cataloging your extra stuff today. Determine what’s fit to sell and what’s well and truly junk. Hold a yard or garage sale to get rid of as much of the former as you can, then give what you don’t sell (and everything in the second category) to your favorite charity. Once you’re done, deposit your yard sale’s take into your vacation fund. Then check with your tax professional to determine which of your charitable contributions you can safely write off on next year’s taxes. If you travel before tax day, no sweat – just put that write-off toward your next vacation. Is your car relatively new? Is it still in good shape? Do you enjoy driving, or at least find it bearable? Do you mind having strangers in your car? If you answered “yes” to all of these questions, look into driving for a ridesharing app like Uber or Lyft. You don’t have to quit your job or give up your social life to earn real money on the side as a ridesharing driver. You just have to commit to setting aside some of your free time to drive others around. I know a few professionals who work full-time and still find time to drive a few hours each week. Some build their ridesharing time into their daily commutes; others set aside a weekend night for transporting revelers around town. It doesn’t matter how you do it, as long as you meet your earning goals. Driving isn’t most people’s idea of a fun, relaxing hobby, but driving for ridesharing apps is lucrative enough to make up for the added stress. I’m betting you have at least one pastime that’s more enjoyable than endlessly circuiting your city. Perhaps you’re a talented graphic designer. Maybe you’re an eloquent writer. You could have a knack for conveying math or science concepts to young people. I don’t know; you do. These skills, and countless others, have real value. 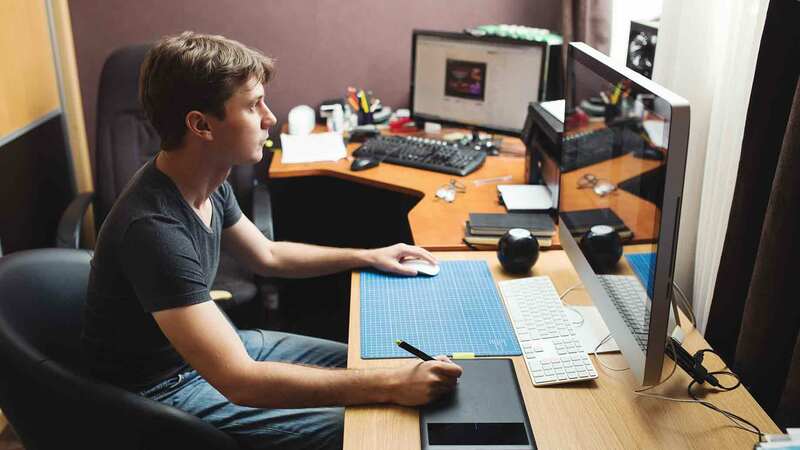 No matter how busy you are, you can surely find a few hours per month to devote to paying freelance projects. Your first move: Create free accounts on popular freelancing platforms like Upwork and Freelancer.com. Then talk to a seasoned freelancer or two about their experiences – how did they find their first clients, determine what to charge, differentiate themselves from the competition, and put together binding freelance contract agreements that protect their rights and interests? With some luck, your freelance side gig’s trickle of income could soon turn into a substantial stream. One day, it might even replace your main source of income. Take it from me: I began my writing career during my spare time, more as a creative diversion than anything else, and built it until I was earning enough, consistently, to quit my 9-to-5. In the meantime, keep that freelance income stream pointed squarely at your vacation fund. The United States has tens of millions of empty or underutilized spare bedrooms. Whether it’s a closet-sized space in a detached accessory dwelling unit or a palatial upstairs suite without anyone to call it home, your spare bedroom is worth more occupied than empty. There are two routes you can go here: short-term or long-term. If your town or neighborhood sees lots of visitors, short-term is the way to go: Do some research to determine the going nightly rate for similar rooms in your area, then list the space on Airbnb, HomeAway, and other reputable short-term rental platforms. If short-term rental demand is limited in your neck of the woods, opt for traditional rental arrangements instead. List your place on local apartment-finder websites or put up a “roommate wanted” ad on Craigslist. (Just be safe about it.) Depending on your market, you could earn anywhere from a couple hundred extra bucks to well over $1,000 each month in rental income – a huge and perhaps decisive boon for your vacation fund. Is moving to a smaller, cheaper apartment a proportional response to vacation-induced financial worries? Maybe, maybe not. If you’re entirely happy with your current place, and your monthly rent payments aren’t straining your budget, I wouldn’t recommend moving just to up your vacation savings rate. On the other hand, if you’ve been considering a move for some time and expect to be able to find a cheaper, perhaps smaller place that’s perfectly adequate for your needs, your upcoming vacation could be just the motivator you need to downsize and declutter your life. In Minneapolis-St. Paul, my home market, downsizing from three bedrooms to two in a new-construction apartment building is good for $300 to $600 in monthly rent savings, depending on location and amenities. In more expensive markets, like San Francisco and New York City, a comparable move saves a lot more. Pro Tip: Before and during your move, review your lessee obligations and make sure you’re doing everything possible to recoup your security deposit. After all, the more you recover, the more you’ll have to spend on vacation. For more information, check out our article on common things that can reduce your security deposit refund. Much of this list is devoted to variations on a common theme: reducing discretionary spending. Restaurant meals, lattes, expensive produce, nonessential subscriptions – all are wants, not needs. Then, resolve not to exceed those spending levels until you’re done saving for your vacation, or some external event (like a raise or unexpectedly large performance bonus) changes your financial situation. The U.S. Congress basically did this back in 2011, when lawmakers enabled a government-wide spending freeze known as sequestration in an effort to fight the national debt. Our representatives and senators might not be wildly popular, but perhaps this is one time you can safely follow their example. Pro Tip: Your discretionary spending freeze shouldn’t prevent further spending cuts. It’s a hard cap on spending growth and lifestyle inflation, not a license to continue with unnecessary or wasteful outlays. It’s almost inevitable that you’ll need to make some sacrifices during your pre-vacation savings campaign, even if they involve relatively minor luxuries like restaurant meals and subscription boxes. Just try not to cut too deep. If you find yourself contemplating serious trade-offs, like forgoing a long-planned return to school for a career-critical degree, you might need to reassess your itinerary or timing. Why cut to the bone to afford that once-in-a-lifetime tropical vacation when a few small lifestyle tweaks can bring within reach a long weekend at the seashore? Paradise can wait. What are you doing to save up for your next vacation?